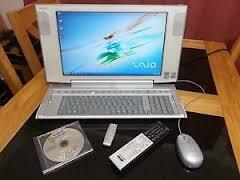 Hi all, I am new to this forum but I have a specific question someone might be able to help me with, I have an old all in one Sony PC its the PCV-W1/G its a good few years old and isn't up to much to much these days, it struggles to even watch youtube, but its a lovely looking piece of kit with a beautiful wide screen. So I decided to rebuild it mostly from the ground up, i am going to fit a new, micro ATX motherboard / Pentium CPU / RAM / and hard drive, and try and fit it all into the original housing at the back of the screen, I have connecting the LCD screen to the new motherboard sorted already with the aid of this controller board from Ebay. My problem is retaining some of the peripherals at the front of the unit, ie. the Keyboard / the HDD led / the Power button and led / and an IR receiver for the remote control. 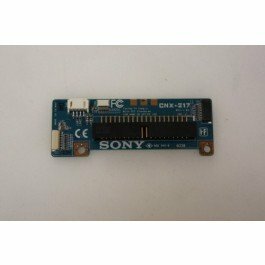 All these parts on the Sony all in one PC connect to a Connector Board / CNX-217, which then connects to the Sony motherboard via a IDE ribbon cable here is an image of the connector board. Q2. if the first option is a no go, could i strip the cables from the original connector board and try and solder and extend them to the appropriate connections on the new MB. Q3. if none of this is realistic I am not so concerned about the IR reciever, my main concern is the keyboard and power button and HDD led, i really want to retain these in the new build, there is a small round multicore cable running from the keyboard to the connector board, could this cable be stripped and connected to the new motherboard in some way if I had the pinouts of a PS2 connection, I am not even sure if it is PS2 or usb protocols that the keyboard uses.